Straight from the horse's mouth, get insider tips to make sure your visit to the Land of the Rising Sun is as easy, smooth and stress-free as possible. From getting to your hotel from the airport, everyday questions like how to pay and even what to pack, just a few bits of preparation can make a big difference in your trip! If (like over 60 percent of visitors) you are starting your visit to Japan in Tokyo, it is well worth trying to time your arrival or departure so that it doesn't overlap with rush hour. The morning rush starts around 7:30 a.m. and lasts until about 10 a.m., while the evening rush begins at 6 p.m. and trails on until 8:30 p.m., or even a bit later. As a Tokyo commuter myself, seeing visitors struggling to carry their heavy suitcases up the stairs of train stations (or worse, bashing into people on the crowded trains with their backpacks) makes me feel both empathic and enraged in turn. Japan—and Tokyo in particular—is a tightly-packed country, so the amount of personal and luggage space you are "allocated" is limited. Fortunately, as this is not a new issue, there are several options that can make getting yourself and your luggage around much easier and less stressful. One of the best options for people staying in relatively central areas are limousine buses. Just store your luggage in the compartment beneath the bus, then sit back and watch the city pass by until you are dropped off at your hotel or the closest stop near your accommodation, from where you can walk or take a cab to your final destination. If you are lucky enough to be staying near Ginza or Tokyo Station you can even use the super-cheap Tokyo Shuttle. If you are arriving early in the morning, another good option is sending your luggage to your hotel from the airport. That way you can start sightseeing immediately and will receive your bags after checking into your hotel (or early the following day, if you arrive later in the afternoon). This service is inexpensive and safe, as many locals send their luggage home after a trip rather than deal with lugging it on the train. Yamato Transport is well known for their quick delivery services, and usually have offices in major Japanese airports. Conversely, many hotels also offer the option to send your luggage to the airport as well, which is great if you're near the end of your trip and want to travel a bit lighter. Like many countries in Asia, the differences in temperatures indoors and outdoors can be pretty extreme, especially in summer and winter. In the summer temperatures in places like Tokyo and Kyoto routinely go above 30 degrees Celsius (86°F), but buildings and restaurants will be blasting their air conditioners at full power, which means it'll be much cooler indoors. In the winter you may experience the opposite issue, as it may be close to 0 degrees Celsius (32°F) outside but feel like a tropical beach indoors or on trains. By dressing in layers you can add or remove clothes as needed to make sure you stay comfortable all day long. This also has the additional benefit of providing a bit of extra coverage, as wearing tank tops or other clothes that expose your shoulders, chest or back is considered a bit "risque" in Japan (for both men and women). Japan is rapidly becoming a major destination for visitors from all over the world, and some services have either still not caught up to meet demand, or are always fully booked. This goes for everything from accommodation during prime seasons (more about that later) to tables at renowned restaurants, or even shows or tickets for popular museums, etc. For concerts and other events you may well have to compete with local fans too, so it pays to be well-prepared. Basically, if there is something you really want to do, book well in advance. The magical Ghibli Museum is a perfect example of this, as they do not sell tickets at the museum itself. If you want to stay at a particular ryokan inn, eat at one of Japan's many Michelin-starred restaurants or witness the craziness of the Robot Restaurant, it's a good idea to lock that in as soon as your plane tickets are confirmed. Japan is a very organized country, so winging it is not generally a good strategy here. Regarding tickets for events or theme parks, these are often sold at Lawson convenience stores through their Loppi ticket machines. You can find out how to navigate your purchase from here. Go Beyond the "Golden Route"
It may seem counterintuitive, especially if it is your first visit to Japan, but avoiding the so-called "Golden Route" of Tokyo/Mount Fuji/Kyoto may be the best way to get a deeper experience of the country. During peak seasons—and in some cases all-year-round—the most popular areas of Tokyo, Kyoto and Osaka can be crowded with visitors (and locals trying to get around in the crush), with long lines and tons of people taking selfies against the backdrop of the same temple or shrine. While these areas certainly deserve their fame, there are many other spots just slightly off the beaten path that are still easy for first-timers to get around, but offer a less hectic experience that is just as memorable or Insta-worthy. Some of my recommendations, all of which are accessible with the wonderfully convenient JR Rail Pass are pretty little Kanazawa in Ishikawa Prefecture, Matsumoto in Nagano Prefecture (home to one of Japan's grandest castles) or heading up north to Sendai in Miyagi Prefecture. The list goes on, but these are great places for first timers that are sure to give visitors authentic Japanese experiences. If you desperately want to visit Kyoto, an insider tip is to stay overnight in Nara, as it's just a train ride away. This ancient town is much less crowded in the evening and has some truly lovely little inns... and of course the deer! While free WiFi is starting to become more common around Japan, if you plan on wandering around or using GoogleMaps, getting a SIM card or renting a pocket WiFi will save you a lot of stress. Most Japanese streets do not have names and many buildings, shops and restaurants only have information written in Japanese. Being able to fire up a mapping or translation app will ensure you spend less time trying to find your destination, and more time actually enjoying your time in Japan. You can get an overview of all your options here. If you are hoping to avoid crowds, then timing your visit to Japan outside the most popular times of year may help ensure you have a bit more breathing space. While the spring cherry blossoms and autumn colors are beautiful, they also attract record numbers of visitors each year. Summer is also a popular choice, especially for those traveling with children and anyone who wants to make the most of school holidays. However, most of Japan is meltingly hot in July and August, and popular spots can be quite congested with tourists. Some off-peak but still pleasant times to visit are January, September, November and May. With the exception of January (which is ideal if you love snow and want to hit some incredible slopes) the weather is mild, flights are cheaper and hotels are not nearly so packed. When getting around major Japanese cities by train, it's always best to avoid peak times. From 7:30 a.m. to 10 a.m. and between 6 p.m. until 8:30 p.m, train cars will be packed with people commuting to and from work. 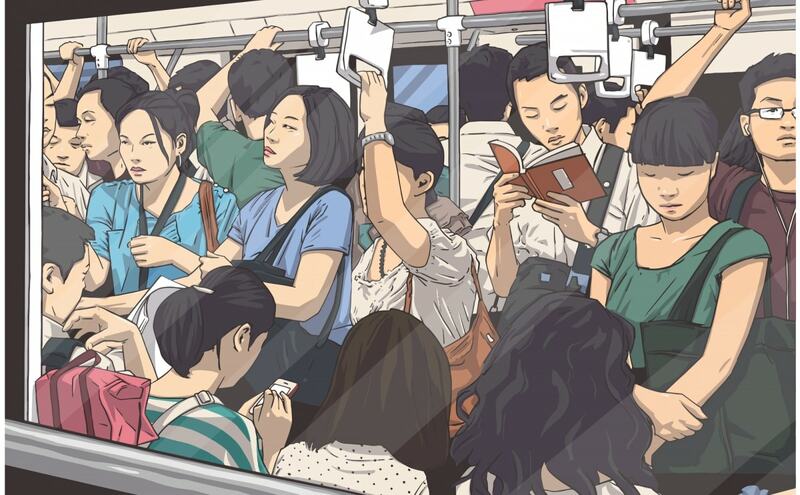 If you enjoy having some personal space and not being squashed by a crowd of tired salarymen, riding the train during less busy hours is definitely a good idea. With a little planning, you can also navigate most major Japanese cities on foot or by bus quite easily as well. if you are unlucky enough to bungle your timing, we do have a few tips for surviving crowded trains! Despite having a long history of tattoo art, visitors may find that most onsen hot springs refuse service to visitors sporting ink. You can find out a bit more about the cultural reasons behind these hangups over here. One of the easiest ways of getting around this is to stay in a ryokan with private baths, which can either be in your room or can be reserved in advance. With no witnesses, no problem! Some onsen have loosened their rules and will allow you to soak as long as your tattoo can be covered by a waterproof bandage, which they will often provide. To avoid disappointment check out ink-friendly hot springs in advance at the aptly named Tattoo-Friendly, a useful site with lists of accommodating public baths and hot springs. And don't despair! Some places are changing their policies to become more friendly to tattooed visitors from overseas. For instance the famous hot springs town of Beppu now has 100 onsen that are open to visitors with ink! Even in major cities (and especially out in rural areas) there are restaurants and shops that don't accept credit or debit cards. Running around looking for an ATM that will accept your card is certainly no fun, so take out enough to cover your expenses... and perhaps a little more just in case. If you do find yourself desperately seeking an ATM, there are a couple reliable options. While it is certainly not intuitive, during business hours Japan Post Office ATMs accept all major credit cards, such as Visa, Plus, MasterCard, Cirrus, American Express and Diners Club. Another easy option is using Seven Bank ATMs at (most) 7-Eleven convenience stores. They even have a page listing all the viable ATMS across Japan. Some Family Mart and Lawson convenience stores have ATMs that accept international cards as well, but not all of them. 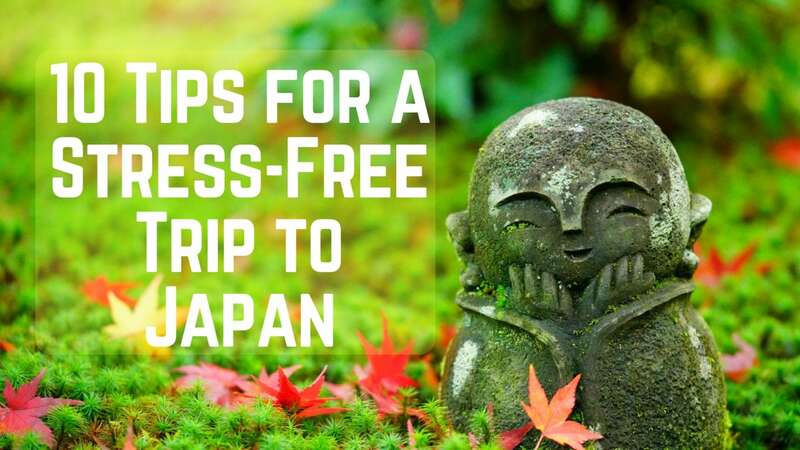 With these tips, we hope your visit to Japan is a (stress-free) blast!